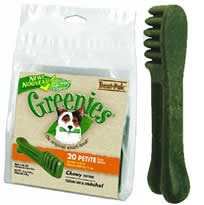 $5 off Greenies Dog Chews! Register here to get a coupon for $5 off Greenies Dog Treats. You can also print off 2 more HERE! We'll keep an eye out for a great match up! HOT Family Fare Deal on Purex! We had a late lunch with family today and afterwards I had some things I needed to do so I am working on Meijer now but I wanted to pass along this great deal that Gaye emailed me. She went to Family Fare tonight and the Purex Detergent & 3-In-1 sheets are on sale for $4.77/each. She used the B1G1 Free coupon from today's insert and instead of taking off the $4.77, it took off the full cost of the item which was $7.29 so she paid $2.25+tax for 2 bottles of Purex! I went out and picked up another copy of the Press so I could do this deal 2x! If you have any deals to pass along that you come across, please let me know! I love hearing about your savings and being able to pass the information along! Thanks again Gaye for the tip! 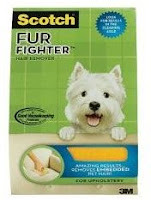 FREE Scotch Fur Fighter at Target! Includes: Honey Bunches of Oats, Shredded Wheat, Grape Nuts. More printable coupons HERE and HERE. Don't miss out, print them today before they're gone! Look for the Walgreens Activity Book and the February Coupon Book. *submit for SC Johnson rebate for OVERAGE! Thanks to Moms by Heart & Common Sense w/ Money for this weeks deals! More Printable Coupons HERE and HERE. Don't miss out, print your coupons now!